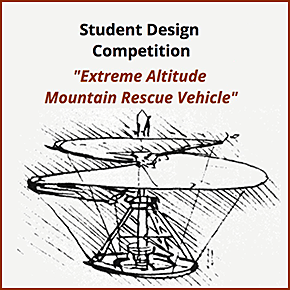 The Vertical Flight Society's annual Student Design Competition challenges students to design a vertical lift aircraft. Each of the winning teams is awarded a cash stipend, while each of the first-place winning teams are invited to the Vertical Flight Society's Annual Forum and Technology Display to present the details of their designs. The Student Design Competition sponsorship rotates between AgustaWestland, Airbus Helicopters, The Boeing Company, Bell Helicopter Textron and Sikorsky Aircraft Corp; in 2018, the US Army Research Lab was added to the rotation. Through this partnership, VFS is able to reach the best and brightest students in the world and encourage them to pursue education and careers in vertical flight.